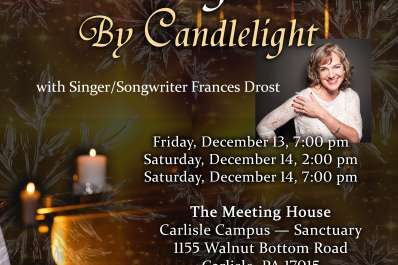 It's inspiring and downright delightful when singer/songwriter and recording artist Frances Drost presents her annual Portraits of White concert in December. 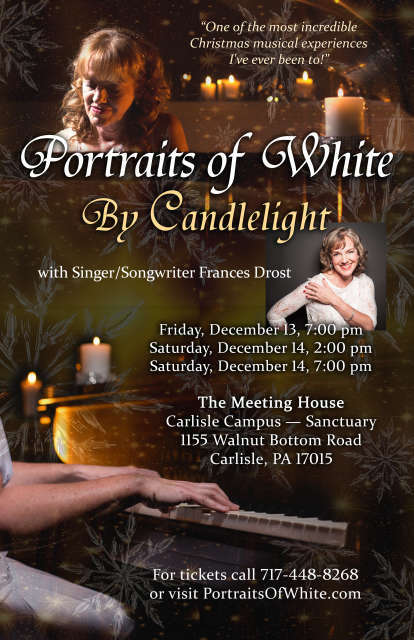 This year, Frances, along with other musical guests, will be taking us back to the heart of Christmas with Portraits of White ... By Candlelight! Leave your holiday hustle behind, and come into the cozy with Portraits of White ... By Candlelight.